Where cybersecurity is concerned, preparation is 90 percent of the battle. The more you know about the dangers facing your organization, the better-equipped you’ll be to respond. And as we stand towards the end of 2018, there are plenty of dangers to be concerned about. Criminals are getting smarter, more advanced, and better-financed. Global ransomware like WannaCry and NotPetya are sweeping through the world like plagues. Let’s look at a few of the most pressing issues – and what you can do to keep yourself safe. Cloud computing has done a great deal to help businesses revolutionize how they operate. Everything from workplace applications to data analysis to infrastructure can be provided through the cloud, which offers near-infinite scalability. Given how much it’s done for efficiency in legitimate businesses, it’s no surprise that criminals have started to pick it up. It’s a trend known as Cybercrime-as-a-Service. Bad actors no longer need to rely on their own skills, resources, or expertise to perpetrate attacks. Instead, they can simply purchase one of the growing range of tools and technologies, which include exploit kits, ransomware, and botnets. As more and more organizations realize the need for skilled cybersecurity professionals, the number of free agents on the market is dwindling rapidly. By 2019, there is expected to be a global shortage of approximately two million people in the IT space. That number will only grow moving forward. It’s great news for anyone who works in cybersecurity … not so great news for the businesses trying to hire them. There’s really no way to put it lightly – IoT security is a joke. Vendors with no security experience or expertise are developing and distributing millions (soon billions) of Internet-connected devices, and the unregulated collection of data through these devices makes the entire IoT industry a privacy nightmare. As the world grows increasingly connected through 2018, this issue will only become exponentially worse. We’ll see botnets the size of which we never thought possible. We’ll see enterprise networks compromised and corporate secrets stolen because of unpatched coffeemakers or tea kettles. And amidst it all, we’ll be grappling with the fact that more personal data than ever before is being bought and sold by unscrupulous vendors. It’s easy to forget that external threats aren’t actually the likeliest source of a data breach – it’s our own workers. 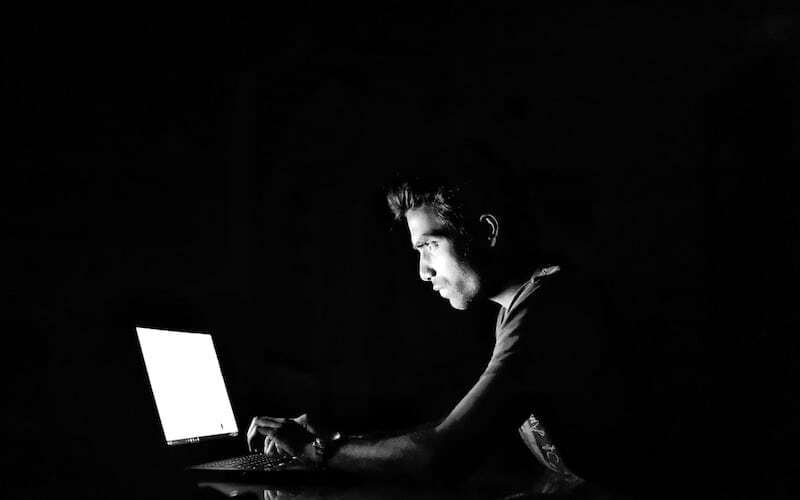 And because enterprises are now growing more connected than ever, there are more opportunities than ever for malicious employees to exploit their employers. And malice isn’t the only issue, either. A well-meaning employee who makes an honest mistake can cause just as much damage, sometimes more. Last but certainly not least, because the world is growing more interconnected, so too are businesses. Every business has supply chains – and every business has partners and vendors it works with. If an attacker is unable to compromise your organization directly, they’ll simply target one of your partners. They’ll find the weakest link and exploit it in full. Now that we’ve gone over the threats aligned against your business, let’s wrap up with a brief overview of what you can do about them. Always keep your systems patched and up to date. Regularly educate your employees about the importance of cybersecurity and digital privacy. Teach them to recognize phishing scams and other, similar attacks. Consequently, ensure your employees are satisfied with their workplace – but also that you have some form of oversight to catch malicious workers in the act. Ensure you retain control of sensitive files and data even as they’re passed to other points in your supply chain. Consider hiring people from fields outside of information security – fields where they might not have the same knowledge base, but similar skill sets. Tim Mullahy is the Executive Vice President and Managing Director at Liberty Center One, a new breed of data center located in Royal Oak, MI. Next article The Power of the Sun, Part One: What is Fusion Energy?